Cast and crew of 'Shooting Clerks' celebrate another film festival award at the Monmouth Film Festival at Red Bank's Two River Theater. Shooting Clerks is the biographical retelling of how New Jersey filmmaker Kevin Smith bankrolled his first movie and defied the odds to make an American cult classic. Scottish filmmaker Christopher Downie set out to include the original cast of Clerks in his biopic. The original films main character Dante Hicks is played by Brian O’Halloran. He’s making the rounds at film festivals in support of ‘Shooting Clerks’. He’s an associate producer of the film and one of many actors from the first film to make a cameo appearance. The original 1994 film 'Clerks' launched Kevin Smith's career. Like the movie whose story it tells, Shooting Clerks was independently produced. 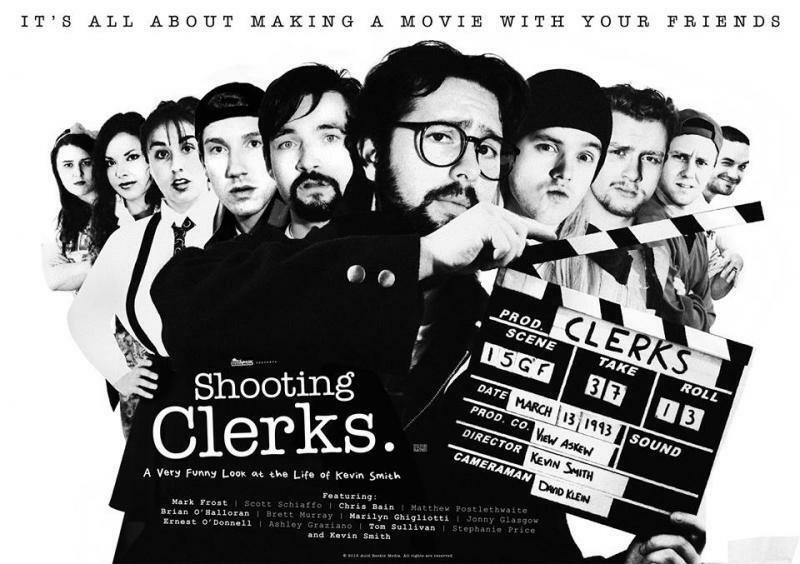 Shooting Clerks is making a name for itself on the Indie film festival circuit. It recently took home the Audience Choice award at the Monmouth Film Festival.